A preview of the future pre-history. ARK: Survival Evolved has gotten a lot of attention since its PC release on Steam Early Access. A console release was promised for "later this year", but it looks like developer Studio Wildcard is going to take advantage of Microsoft's new Game Preview feature to let Xbox One owners get a taste sooner rather than later. The Game Preview program works pretty much the same as Early Access. Players can grab games early in the release cycle for a discounted price and, ideally, give feedback so the development team can make improvements before the wide release. In ARK, players awake on the beach of a mysterious island surrounded by other confused humans. Everyone has to figure out how to stay alive, which includes hunting, harvesting, crafting, researching, and building shelters against the elements. The world of ARK utilizes a blend of prehistoric weaponry and far-future technology that us mighty modern humans would be baffled by. All of this is set in a wild world of dinosaurs who just love sinking their teeth into the warm flesh of mammals. Work together with the 70 or so players on your server, or go it alone and see how long you can survive. 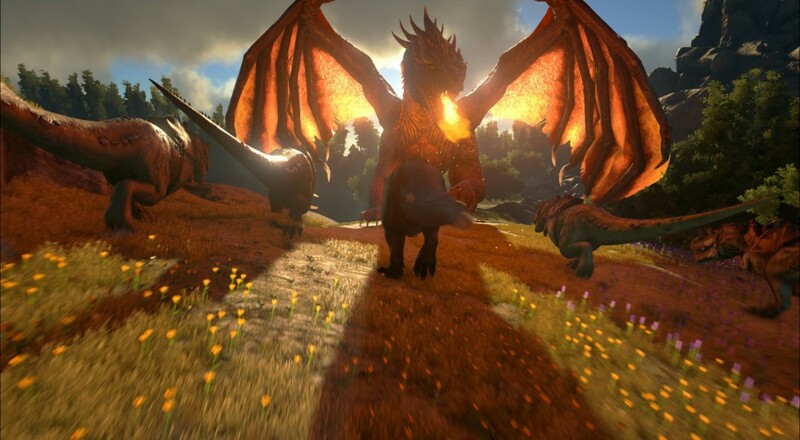 We took a look at ARK: Survival Evolved and found its massive, emergent co-op was pretty darn good, if somewhat unpolished. That's why things like Early Access and Game Preview exist, of course. The game is scheduled for a simultaneous PC, Xbox One, and PS4 release by the end of the year.